As soon as I knew Mauro Improta was doing a cookery course, I promised myself not to miss out on an opportunity to meet the most inspiring chef of the television programme “La Prova del Cuoco”. 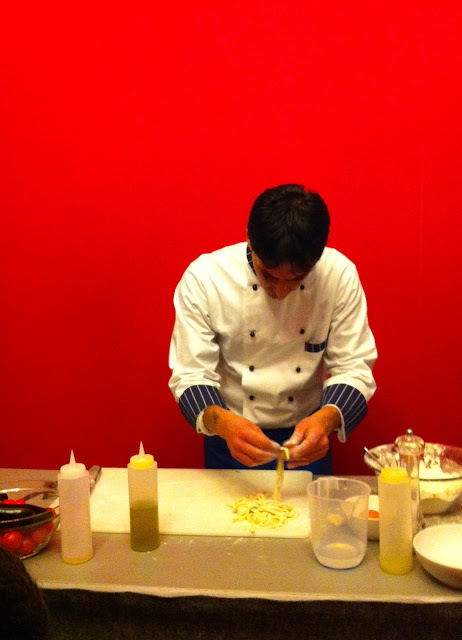 Now I can confirm that he really is like this: cheerful, spontaneous, helpful and an excellent chef, of course! Without worrying about the never-ending rain, I went with some other food lovers to the restaurant “Salone dei Principi”, in the centre of Naples, where we were welcomed by Giulia Pirozzi’s smile, manager of the course. In the wonderful city on the bay, we watched the preparation of three fish-based dishes, that Mauro entirely created in front of our eyes. Nothing was previously cooked, so we could follow every individual step of the recipes. The chef, also, revealed some little cookery secrets and gave us some useful advice for the basic preparation. Aren’t you intrigued to know them? There’s nothing more for you to do, than take part in a one of his next courses, that will take place from February. 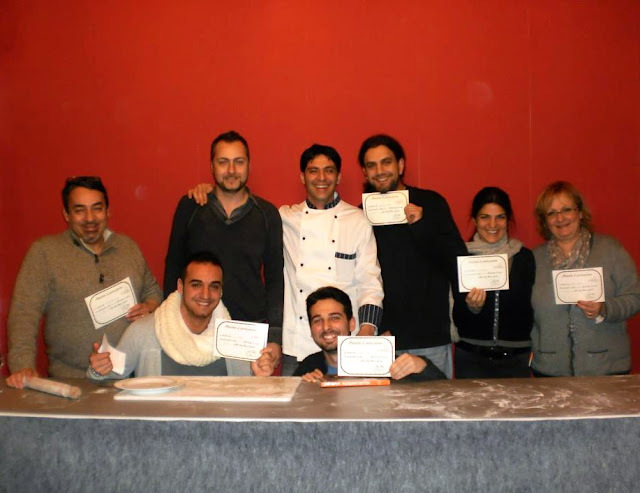 With the tasting of the dishes and the awarding of the certificates, the carefree Neapolitan afternoon in the kitchen was finished. Thanks Mauro, and see you again at the next course!